because it can raise your blood sugar. When my wife and I moved to Moloka'i 15 years ago, we began to realize that a huge number of our friends and neighbors had diabetes. I wanted to know why, so recently I began researching diabetes and found out that native Hawaiians have the second highest rate of type 2 diabetes in the U.S. and have an increased risk for new cases of diabetes due to high rates of obesity, impared glucose tolerance, and insulin resistance syndrome. The Hawaii State Department of Health’s Diabetes Prevention and Control Program, reveals that this serious disease is a major public health problem in the Aloha State – and it is hitting people of Native Hawaiian, Filipino and Japanese ancestry particularly hard. An estimated 72,000 to 100,000 people in Hawaii currently have diabetes, of which 25,000 or more remain undiagnosed. More than 900 Hawaiians die each year from diabetes-related complications, making it the seventh leading cause of death in the state. The fact is that whether you have been diagnosed with diabetes or not, the bottom line is that EVERYONE should adopt healthy eating habits. • Control portion sizes and the total number of calories you consume. • Include fruits, vegetables and whole grains in each meal. • Reduce the amount of saturated fat, trans fat and cholesterol you eat. • Limit sweets and salt. • Drink alcoholic beverages in moderation, if at all. • Include physical activity in your daily routine, if approved by your doctor. If you do have diabetes, you have to take control of your unhealthy eating habits in order to control your blood sugar. The two biggest hurdles are calories and carbohydrates. You have to control both in order to keep your blood sugar level steady. You and your doctor and nutritionist should come up with a meal plan to help you balance nutrition and taste. Your meal plan will take into account your age, size, weight goal, exercise level, medications, and other medical issues. The meal plan will also include the foods you like to eat — so let your diabetes health care team know what these are. A good place to look for information about diabetes and diabetic recipes that have the right kind of flavor that you're looking for is on an internet search engine. To get you started, check out the Mayo Clinic website: http://www.mayoclinic.com/health/diabetes-recipes/RE00091. Another great site for general information and recipes is the American Diabetes Association at: http://www.diabetes.org/food-and-fitness/?loc=GlobalNavFF. Recently I was contacted by DiabeticLifestyle.com. They have hundreds of recipes on their site that were developed by James Beard Award-winning cookbook authors Frances Towner Giedt and Bonnie Sanders, PhD. Check out this site for recipe ideas. Eating well with diabetes is really not that difficult, so make a few simple changes to your diet and get back to enjoying life. What can I eat with diabetes? Rules for eating healthily don't change much whether you have diabetes or not. You should aim to eat a diet that is low fat (particularly saturated fat), low sugar, low in salt, high in fruit and vegetables (at least five portions a day) and moderately high in starchy carbohydrate foods. However, different carbohydrate foods have different effects on blood glucose levels. This can make a big difference as to whether your diabetes is well controlled or not. Research indicates that it's the sugary fast releasing and processed starchy carbohydrates (known as having a high glycaemic index) that are the worst for diabetes and the less processed whole grain carbohydrates (low glycaemic index) that are best. Foods with a high GI are rapidly digested and absorbed, resulting in a rapid peak in blood glucose levels. By contrast, low GI foods produce a gradual rise in blood glucose and insulin levels, which avoids rapid peaks and lows. Foods with a high GI are white and brown bread, rice cakes, cakes, biscuits, sugary drink (including juices), potatoes and some type of rice. Foods with a low GI are pasta, oats, some but not all fruits, dairy products and heavy whole grain breads. Of course you can't stick exclusively with low GI diet, but you can help improve your blood sugar control by including at least one low GI food at each meal. These are my top tips for getting your carbohydrates right:• Switch to breakfast cereals based on oats (such as oatmeal), or wheat and rice bran. • Eat grainy breads made with whole seeds, barley and oats, instead of white or brown bread. • Eat wheat-based pasta and long-grain rice in place of potatoes and short grained rice, but watch serving size. • Use low-fat milk and low-fat yogurt. • Eat beans, lentils and peas. • Eat sweet corn and sweet potatoes instead of Idaho potatoes. • Eat apples, dried apricots, cherries, grapefruit, grapes, orange, peaches, pears, plums and barely-ripe bananas instead of other fruits and raisins. • Choose less processed foods as processing makes food easier to digest. • Eat fibre because it helps slow the digestion and absorption of carbohydrates. • Avoid drinking large amounts of fruit juice. Although fruit sugar (fructose) doesn't stimulate insulin release it can still cause problems with blood sugar control in large amounts. Here are a few delicious diabetic recipes to try, however not all recipes presented here are necessarily appropriate for all people with diabetes, nor will all recipes fit into every meal plan. No two meal plans are alike. Work with your health care provider, diabetes educator or dietitian to design a meal plan that's right for you, and includes the foods you love. Preheat oven to 350˚F. Cut each pita half into 6 wedges. Place on a baking sheet and bake 5 minutes or until just beginning to brown lightly. Cool completely. Meanwhile, combine remaining ingredients in a medium mixing bowl and toss gently, yet thoroughly. Serve with pita wedges. Makes 6 servings. Combine all of the ingredients in a blender or food processor and puree. Serve with sliced cucumber. In a large saucepan, heat the olive oil over medium heat. Add the onion, celery and carrots and saute until softened, about 5 minutes. Add garlic and continue cooking for another minute. Stir in broth, tomatoes, spinach, beans and pasta. Bring to a boil over high heat. Reduce heat and simmer for 10 minutes. Add zucchini. Cover and cook for 5 minutes more. Remove from heat and stir in the basil. Ladle into individual bowls and serve immediately. Makes 4 servings. Combine vinegar, oil and garlic in shallow glass dish. Sprinkle both sides of steak with salt and pepper; place steak in dish and turn to coat. Cover and refrigerate 1 hour. Make Oven-Fried Potatoes: Heat oven to 450˚F. Line cookie sheet with foil; lightly coat with vegetable cooking spray. Toss potatoes, oil, rosemary, salt and pepper in large bowl. Spread in single layer on prepared cookie sheet. Bake 30 to 35 minutes, until golden and crisp. Meanwhile, heat grill. Grill steak 6 to 8 minutes per side for medium rare. Serve with potatoes and chopped tomato and cucumber. Makes 4 servings. Place the swordfish in a non-metallic shallow bowl, baking dish, or a zip-lock bag. Combine next 6 ingredients. Mix the marinade well and pour it over the swordfish. Marinate, refrigerated for 1 hour, turning fish several times. Remove swordfish from marinade and place in a microwave-safe baking dish. Place a slice of red onion on each steak. Cover securely with plastic wrap. Microwave on high for 5 to 6 minutes. Rotate the baking dish halfway through the cooking process. Let stand, covered, for 1 minute. Makes 4 servings. Combine all ingredients in 1 1/2 qt microwave-safe casserole. Cover tightly and microwave 1 to 2 minutes. Stir gently. Replace cover and microwave 2 to 4 minutes longer, or until snow peas are crisp-tender and bright green. Drain well before serving. Makes 3 servings. 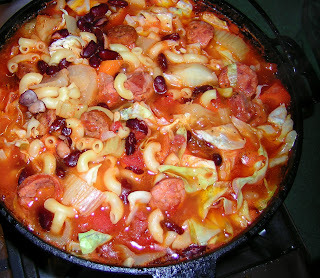 Place first 5 ingredients in large saucepan. Bring mixture to boil, then lower heat and simmer for 20 minutes. Stir in sliced zucchini. Continue cooking until zucchini is tender, about 10 minutes. Just before serving, place ingredients in casserole and sprinkle with grated cheese. It may be necessary to heat casserole to melt cheese. Makes 8 servings. Wash the kale, but let the water cling to it. Cut off and discard the tough stems. Slice the leaves once down the middle, then cut them crosswise into 1-inch-wide strips. In a wok, heat the oil. Add the garlic. Saute for 10 seconds. Add the kale with broth. Cover and steam for 3 minutes until the kale wilts. Add the soy sauce. Top the kale with sesame seeds and fresh ground pepper. Serve. Makes 6, 1/2 cup servings. In a saucepan over high heat, combine the rice, water, 1/4 teaspoon of the salt and the saffron. Bring to a boil. Reduce the heat to low, cover and simmer until the water is absorbed and the rice is tender, about 45 minutes. Transfer to a large bowl and keep warm. In a small bowl, combine the orange zest and juice, oil, and remaining 1/2 teaspoon salt. Whisk to blend. Pour the orange mixture over the warm rice. Add the nuts and apricots and toss gently to mix and coat. Serve immediately. Makes 8 servings. In a small saucepan, combine the frozen apple juice, flour, cinnamon and salt. Stir constantly over medium heat until the mixture is thick and bubbly, 3 to 5 minutes. Peel and slice the apples and stir them into the apple juice mixture. Pour the mixture into the unbaked pie shell and dot with butter. Position the top crust over the filling, cutting slits for the steam to escape. Trim and seal the edges. Brush the top very lightly with water and sprinkle with nutmeg. Bake at 450˚F for 15 minutes. Reduce heat to 350˚F and bake for 30 minutes more. Makes 6-8 servings. Preheat oven to 350˚F. Grease the bottom only of loaf pan. Combine dry ingredients. In separate bowl, combine wet ingredients. Lightly fold wet ingredients into dry ingredients with spatula just until combined. Pour into greased loaf pan and bake for about 55 minutes. Cool for five minutes and invert. Store in refrigerator for four days or on the counter two days. Makes one loaf. Beans and rice are an inseparable pair of staple foods for millions of people all over the world. Dried beans and rice can both be stored easily for long periods of time, and they are economical because they can be bought in bulk. When combined they offer a complete source of protein and other nutrients without the addition of meat. What types of beans and rice are used varies greatly from black and red beans to brown and white rice. In the U.S., beans and rice are popular in hispanic and cajun cooking, and in most of the southern states as well. When times are hard, it's a delicious complete protein to turn to. So what is a complete protein? When you are eating red meat, poultry, seafood, eggs and dairy, you are eating complete proteins. If you are a vegetarian, you can also eat complete proteins from certain plants, such as soy, spirulina, hemp seed, amaranth, buckwheat, and quinoa. Recent studies show that the beans and the grains don't even need to be eaten at the same meal, so if you eat beans for lunch and rice with dinner, you've got yourself a complete protein. You may spread your food combination over a 2-day period. I think everyone eats beans and rice because it tastes so good. This is an easy recipe and can be made the way you like it. I like red peppers because they are sweeter than yellow or green, but you can use whatever you like. That goes for the kind of beans, mushrooms, cheese, rice, etc. Preheat oven to 350˚F. In a skillet, sauté onions, mushrooms, and garlic in butter until tender, about 3 minutes. Add ground beef, chili powder, salt and pepper, and sauté until browned, about 5 minutes more. Add beans, tomato sauce, cooked rice, oregano, and blend together. With a sharp knife, cut the peppers in half lengthwise, through the stem. Carefully remove the seeds and membrane inside. Put a pinch of salt into each pepper half. Stuff cleaned peppers with mixture, packing it into the crevices with a teaspoon. Put any extra mixture in an oiled shallow 9” x 9” baking dish. Place filled pepper halves on top of mixture so they are facing up. Tightly cover with foil and bake for 50 minutes until peppers are tender. Remove and discard foil and top each pepper with grated cheese. Bake about 3 minutes more, until cheese melts. Serve with steamed asparagus with a butter and fresh lime juice sauce, or a nice green salad. Makes 4 servings. Soak the beans overnight for at least 6 hours. Drain them and put them into a pot, covering them with cold, lightly salted water. Add in the chorizo. Cover and bring to a boil then lower the heat and allow to simmer for about an hour until the beans are tender but not overcooked. While the beans are cooking, cook the rice. Set the rice aside. Peel the onion and garlic and chop together with the bacon. Saute them together in a pan with the olive oil. Dice the tomatoes, then add them to the saute pan. Add the bay leaf, parsley, salt and pepper, as well as the red pepper flakes if you are using. Allow to cook on medium heat until the onions are fully cooked. Add the rice to the pan, keep stirring, allowing the rice to soak up all the flavors in the pan for a minute or two. Put the rice mixture into a bowl and stir in the drained beans and chorizo. Makes 4 servings. Edamame is more commonly known as soybean, and is parboiled and quick-frozen, then sold in most grocery stores. It is a major source of protein and has been eaten in East Asia for over two thousand years. Adding edamame to fried rice makes a delicious, healthy meal. Bring a medium pot of water to boil. Cook the edamame according to package instructions. Drain, rinse under cool water, and drain again. If you’re not using already-shelled edamame, remove the edamame from their pods. Set aside. Break up the cold cooked rice into smaller clumps as much as possible. Heat a wok or large skillet over medium-high heat until a bead of water sizzles and evaporates on contact. Add 1 tablespoon of the oil and swirl to coat the base and sides. Add the egg, spread it as thinly as possible, and cook undisturbed for 2 minutes, until cooked through. Transfer to a cutting board and chop into bite-sized pieces. Add the remaining 1 tablespoon of the oil and swirl to coat the base and sides. Add the scallions and stir-fry briefly until aromatic, about 20 seconds. Stir in the rice, breaking apart any remaining clumps with a spatula. Add the edamame and chopped egg. Stir-fry for another 1 to 2 minutes, until the rice starts to turn golden and the edamame and eggs have heated through. Season to taste with salt and pepper. Transfer to a plate and serve. Makes 4 servings. If you have never tried Quinoa, pronounced (Keen-wa), it’s a wonderful whole grain that has a delicate nutty flavor and is easy to prepare. Quinoa is widely versatile and goes well with chicken, pork and fish, and is a complete protein all by itself. This is a wonderful salad, full of color and good for you. Serve with steamed corn tortillas, or corn chips to make this salad a complete protein. Heat sesame oil in large saucepan over medium heat. Add garlic, and saute 1 minute, or until fragrant. Add ginger, and sauté 1 minute more. Stir in rice, and saute 2 minutes, or until coated with oil, and beginning to turn opaque. Stir in orange juice, 1 1/4 cups water and salt. Bring mixture to a boil, reduce heat to medium low, and cover. Simmer 30 minutes. Sprinkle corn over rice. Cover, and simmer 15 minutes more, or until rice is tender. Remove from heat, and let stand 5 minutes. Stir in cilantro, and serve. Makes 8 servings. The Portuguese were the preeminent fishermen and explorers of the fifteenth and early sixteenth centuries. Those adventurers brought back spice and foods that were unheard of in Europe. In 1876, Jason Perry, Consular Agent for Portugal, recommended that laborers be shipped to Hawaii from the Portuguese island of Madeira to work on sugarcane plantations. Madeira had grown sugarcane for many years and is known today for its Madeira wine. Madeira is part of two Portuguese archipelago located in the north Atlantic Ocean, 400 miles off the coast of North Africa. In 1878, immigration began. These European immigrants differed from their Asian counterparts as they intended to stay in Hawaii permanently. Their families brought everything with them, along with their distinctive cuisine. Their food was more authentic Portuguese because it had fewer Spanish influences, using less cilantro, curry or cinnamon, and more hot spices. They expressed love, faith and friendship through their cooking. Portions were large and hearty, and guests were always welcome at the table. They built forno, their traditional beehive oven, to make Pão Doce, the Portuguese sweet bread and malasadas, a sweet doughnut without a hole in it. Other foods they brought were Linguica: spicy sausage, Acorda: bread soup, Arroz Doce: sweet rice, Caldirada: seafood stew, Caldo Verde: kale and potato soup, Feijao: beans, Pao Doce: sweet bread made with egg and butter, Peri Peri: a hot and sour sauce made of hot chili peppers, garlic, onions, tomatoes, horseradish, and lemon juice, Pudim Flan: custard, Sabula de Vinha: pickled onions, Soupa de Feijao: bean soup, and Vinha D' Alhos: fish or pork in vinegar and garlic. These wonderful foods have become a valued part of the Hawaiian melting pot. 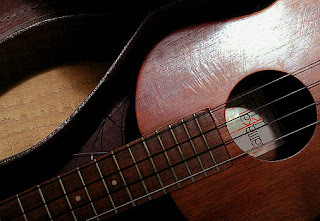 One last tidbit: The iconic Hawaiian ukuleles were made in Hawaii, but they were originally made by Portugese immigrants as early as 1879, not by the Hawaiians. They were based on a similar instrument found in Portugal called a cavaquinho. Well, as the Portuguese say…“belas palavers, ñao preencher a barriga” (fine words don’t fill the belly.) So, let’s eat! This is a delicious hearty rustic fish stew (Caldeirada de Peixe), the way the Portuguese would have made it. Heat the oil in a large stockpot, add the onions and leeks, and sauté in olive oil until fostered. Add the fennel and garlic and sauté until aromatic. Add all the remaining ingredients except the fish and shellfish and bring to a boil. Cover, lower heat, and simmer for 20 minutes. While the stock is simmering, cut the fish into bite-size portions. Bring the stock back to a rapid boil, add the fish, and cook for 1 minute. Add the shellfish (if using) and continue to boil until shells open, approximately 1 minute. Shake the pan occasionally to encourage clam and mussel shells to open. If using shrimp, turn off the heat as soon as all the shrimp lose their gray translucency; any longer and they quickly become tough and overcooked. Depending on your pot and burner, this will probably be about 2 to 3 minutes. Serve hot with crusty bread. Makes 6 to 8 servings. Add olive oil, onion and sausage to a large heavy pan. Turn heat to medium high and brown onion and sausage. Add minced garlic, diced green pepper and large tomato and simmer for about 5 minutes. Add bay leaf, tomato paste and wine and stir on medium heat until the sauce is blended well. Add mussels and shrimp and cover pot. Cook over medium heat for 10 minutes. Discard any unopened Mussels. Sprinkle with parsley and salt and pepper to taste. Serve with hot crusty bread, and more wine. Makes 4 to 6 servings. Note: You might as well buy 2 or 3 bottles of wine while you're at it and make sure it's cold! Place ham hock, sausages, onion, and water into a large pot over high heat. Bring to a boil, then reduce heat to medium-low, and simmer for 1 hour, covered. Take ham hocks out and remove the meat, roughly chop, and return to soup, discard bones. Stir in potatoes, celery, carrots, stewed tomatoes, tomato sauce, garlic and vinegar. Cover, and continue simmering for 1/2 hour, stirring occasionally. Stir in cabbage and kidney beans, cook until the cabbage has softened, about 10 minutes. Taste, then add salt and pepper and more water if needed. Serve with a garden salad and fried bread (recipes below). Makes about 10 servings. Mix sugar, whiskey and ketchup in pot and simmer about 15-20 minutes. This can be made in advance and refrigerated until ready to use. When ready, cut sausage in bite size pieces, put in baking pan, add sauce, cover with foil and bake until heated (350˚F for about 1/2 to 3/4 hour). Makes 8 servings. In Portugal you would use a sea bream for this recipe, but in Hawaii, I would suggest moi. Moi is a delicious, delicate Hawaiian fish that was once reserved only for royalty, it is now farm raised on the Big Island, and available in many stores here. Stuff garlic, rosemary and lemon wedges in the belly of the fish. To prepare the wrapper, place a sheet of parchment paper on top of an aluminum foil sheet. Place the parchment paper and foil on a cookie sheet. On top of the parchment paper sheet, place a sprigs of cilantro and then on top of that place the fish after being seasoned with salt. Sprinkle the fish with chopped garlic and sprigs of cilantro. Place the cherry tomatoes around the fish. Sprinkle with peppercorns. Sprinkle with olive oil and close the wrapper tightly. Put the cookie sheet with the fish into a preheated 400˚F oven for 40 minutes. Makes 4 serving. This stuffing is great with turkey, chicken, duck, whatever. Heat a Dutch oven over medium-low heat. Add the bacon and cook, stirring often, until the fat has rendered and the meaty bits are crisp, 12 to 15 minutes. Using a slotted spoon, transfer bacon to paper towels. Pour off all but a thin film of fat from the pot into a cup and reserve. Turn heat to medium-high, add the sausage, and cook, stirring often, until lightly browned, about 7 minutes. Using a slotted spoon, transfer the sausage to a bowl. Pour off all but 2 tablespoons of fat, adding it to the bacon fat. If the pan is dry, add 2 tablespoons of oil. Lower the heat to medium, add the onions and mushrooms and cook until soft, 7 to 10 minutes. Add the garlic and pepper flakes and cook for 1 minute more. Splash in the wine, add the paprika and tomato paste, scrape up any stuck-on bits, then simmer for a few minutes. Turn the heat to low, add the bread and the reserved bacon and sausage fats, then gradually pour in just enough of the chicken stock to make the mixture moist. If you use all the liquid and the pot is still dry, add a little juice from the olive jar as necessary. Fold in the bacon, and sausage. Taste and season with salt and pepper if needed. Scoop the dressing into a bowl and sprinkle with the eggs, olives and parsley. Makes 8 servings. Note: If you have, and like turkey giblets, cook them with the chicken stock, chop them up, and add them to the stuffing. Personally I love giblets, but my wife doesn't, so one year we will make it with and the next without. Enjoy! Portuguese Corn Bread (Broa) is a rustic, dense part-corn loaf that's perfect for sopping up hearty soups and stews. It is not at all like the American Southern cornbread, which is quite sweet, and leavened with baking soda and powder. Mixing and storing the dough: Mix the yeast and salt with the water in a 5-quart bowl, or a lidded (not airtight) food container. Mix in the remaining dry ingredients without kneading, using a spoon, a 14-cup capacity food processor (with dough attachment), or a heavy-duty stand mixer (with dough hook). If you're not using a machine, you may need to use wet hands to incorporate the last bit of flour. Cover (not airtight), and allow to rest at room temperature until the dough rises and collapse (or flattens on top), approximately 2 hours. The dough can be used immediately after the initial rise, though it is easier to handle when cold. Refrigerate in a lidded (not airtight) container and use over the next 10 days. On baking day, dust the surface of the refrigerated dough with flour and cut off a 1-pound (grapefruit-size) piece. Dust the piece with more flour and quickly shape it into a ball by stretching the surface of the dough around to the bottom on all four sides, rotating the ball a quarter-turn as you go. Flatten slightly and allow to rest and rise on a cornmeal-covered pizza peel for 40 minutes. Twenty minutes before baking time, preheat a baking stone to 450˚F, with a baking stone placed on the middle rack. Place an empty broiler tray on any other shelf that won't interfere with the rising bread. Just before baking, sprinkle the loaf liberally with cornmeal and slash a cross, "scallop," or tic-tac-toe pattern in the top, using a serrated bread knife. Leave the cornmeal in place for baking; tap some of it off before eating. Slide the loaf directly onto the hot stone. Pour 1 cup of hot tap water into the broiler tray, and quickly close the oven door. Bake for about 30 minutes, until deeply browned and firm. Smaller or larger loaves will require adjustments in baking time. Allow to cool before slicing or eating. Makes four 1-pound loaves. This recipe is easily doubled or halved. Whisk together flour, baking powder, salt, and sugar. Add milk, and mix well. Divide dough into 16 balls. Pat out on a flat, floured surface to 1/2 inch thick. Fry in 1/2 inch hot oil, browning both sides. Serve warm. Makes 16 rolls. This is a wonderful, and easy Portuguese salad for two. You can add other things to it if you like: hard cooked egg wedges, kalamata olives, roasted red peppers, or capers. In a small bowl, whisk the oil and vinegar until blended. In a large serving bowl, combine the beans, onion, garlic, and all but 2 tablespoons of the parsley. Pour in the dressing and toss to coat. Fold in the tuna, season with salt and pepper to taste, and cover with plastic wrap. Refrigerate for at least 2 hours for the flavors to blend. Remove from the fridge 30 minutes before serving. Take a taste. Add a splash of oil or vinegar or season with salt and pepper, if needed. Toss, sprinkle with the remaining 2 tablespoon of parsley. Serve on a bed of lettuce leaves with crackers on the side. Makes 2 large servings. Preheat oven to 375˚ F. Insert paper muffin liners in 12 muffin cups (you can just spray the muffin tins with vegetable spray, but they are easier to get out if you use liners). Cut squares of puff pastry and insert into muffin liners, pressing with your thumbs from the bottom to the sides so the pastry is thinner at the bottom. Put the tins in the fridge while you work on the filling. In a saucepan, combine milk, cornstarch, sugar and vanilla. Cook, stirring constantly, until mixture thickens. Place egg yolks in a medium bowl. Slowly whisk 1/2 cup of hot milk mixture into egg yolks. Gradually add egg yolk mixture back to remaining milk mixture, whisking constantly. Cook, stirring constantly, for 5 minutes, or until thickened. Fill pastry-lined muffin cups with mixture and bake in preheated oven for 20 minutes, or until crust is golden brown and filling is lightly browned on top. Eat them warm, sprinkled with sugar and cinnamon on top, as is traditional in Portugal. Makes 12 tarts. In a small saucepan, heat 1 cup sugar and 1/4 cup water over low heat. With the back of a wooden spoon, keep sugar moving constantly in saucepan until sugar is completely melted, and of a rich medium brown color (caramelized). Pour the caramel into an ovenproof mold or bunt pan, rolling it around the sides to coat the mold evenly. Preheat oven to 400˚F. In a bowl beat the eggs until frothy. Combine the sugar, the flour, and the lemon/orange zest and beat the mixture into the eggs. Add the milk and mix again. Pour the custard into the caramelized mold. Place the mold in a larger pan and add water to come halfway up the sides of the mold. Bake for 1 hour or until a knife inserted in the center of the custard comes out clean. Cool to room temperature. Then place it in refrigerator tree hours. Carefully unmold the pudding on a plate by putting a plate on top of the mold and carefully turning it upside down. Makes about 8 servings. Lavadores are Portuguese sweet lemon cookies. They are named "washboard cookies" because of the fork marks on each cookie. Preheat your oven to 350˚F. With medium-high speed of an electric mixer or by hand, cream the butter and 1 cup of the sugar, about 1 minute. Beat in the eggs, one at a time, blending well after each, until the batter is fluffy and pale yellow, about 2 or 3 minutes. Stir in the grated lemon peel. In a medium bowl, whisk together the flour and baking powder, stirring to distribute the ingredients evenly. Using a wooden spoon, fold the flour into the egg batter. Mix well. Gently knead the dough in the bowl for about 5 minutes. Place the remaining 1/2 cup of sugar in a shallow dish. Shape pieces of dough into 1 1/2-inch balls. Roll balls in the sugar to cover, and place on parchment-lined or lightly greased cookie sheets, 1 inch apart. Flatten gently with the tines of a fork to make horizontal lines. Bake for 20 to 25 minutes or until a light golden color. Makes about 48 cookies. Put the papaya and syrup mixture into a jar and store in the refrigerator until ready to use. It is typically served as a dessert with cottage cheese, cream cheese or thick yogurt, or as a sweet filling in fried empanadas (wonton wrappers stuffed with candied papaya then sealed with a little water and fried, then dusted while still hot, with cinnamon sugar). Delicious, but my favorite is to serve heated candied papaya over cream cheese filled crepes, with candied papaya and syrup over the top, then dusted with confectioners sugar (crepe recipe below). Crêpes originated in France, they are paper thin pancakes with a filling. They can be used as a dessert, for example, filled with cream cheese mixed with confectioner's sugar and a little vanilla extract, then covered with candied papaya (recipe above), or savory fillings, like crepes filled with spinach, ricotta cheese and pepperoni. Similar to tortillas or other flat breads, they make a wonderful delicate wrapping for foods from different countries all over the world, including Portugal. For more information on Crêpes, click here. Lightly spoon flour into a dry measuring cup; level with a knife. Combine flour, sugar, and salt in a small bowl. Combine milk, water, melted butter, and eggs in a blender. Add the flour mixture to milk mixture, and process until smooth. Cover batter; chill for 1 hour. Place crepe on a towel; cool completely. Repeat procedure with the remaining batter, stirring batter between crepes. Stack crepes between single layers of wax paper to prevent sticking. Makes 13 crepes.